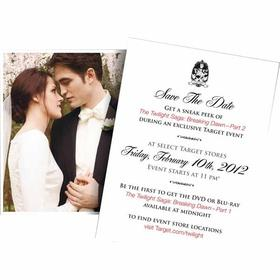 SARAH'S BLOG OF FUN: Breaking Dawn Party At Target 2/11. Breaking Dawn Party At Target 2/11. If you are a huge Twilight fan like me, then you may want to head to Target on Feb 10th (11pm) to join in for their Twilight Breaking Dawn Party. You will be able to see scenes from the next and final movie, and get your copy of Breaking Dawn part one at midnight!! Also Target is offering 20% When You Buy Any 2 Twilight Items with Promo Code E6NUVGH7. This is only available online on 2/11! !